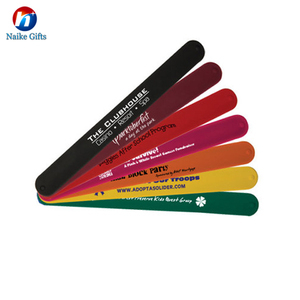 Q2:How about your price for Slap Band Wide Slap Bracelet Ruler Slap Wristband 9 A:We specialize in customized high-quality promotional items for you and can help you meet any requirement with the most reasonable price Q3:What about your after-sale service9 A:We reply every enquiry within 12 hours and try our best to meet thedemand of the customers ,will consult and follow the relevant sellings and handlings. 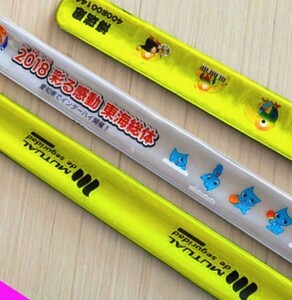 Q4:How about your delivery for Slap Band Wide Slap Bracelet Ruler Slap Wristband 9 A:We have big discount from forwarder (Long Contract). Q5 : How to pay my order9 A:30% deposit first,Then we start production, nearly finished with 2 days, 70% balance will be paid before shipping. 3, You can collect it, wear it, stretch it, anyway, it'll never go out of shape. _The extremely popular si licone articles are the perfect for your promotional needs. To develop your concept, we will be glad to assit you from concept to creation . Where is your loading port9 Shenzhen or Guangzhou. 3 . Where are your payment terms9 Paypal;western union; T/T 4 . You are factory or trading company 9 We are factory direct sales. 5 . Please inform us formally before our production and confirm the design firstly based on our sample. We can according to customer requirements and design, new shape, material, color, size, packaging, etc. will work hard with you together and find a best solution based on your ideas. 2. If your need to make sample, just prepay mold fee , pay off the balance before delivery Band Style Logo craft Packaging & Shipping 1. package 100pcs/opp bag,. or 50pcs/opp bag Best quality 1. 100% quality guarantee with more than 15 years products experience and customers' long term cooperation. 2. Factory direct products and EXW price Best service 1. No mould fee when re-order 2. Sales can coordiante work to support you. Alibaba.com offers 1,086 slap ruler products. About 64% of these are bracelets & bangles, 8% are plastic jewelry, and 4% are rulers. 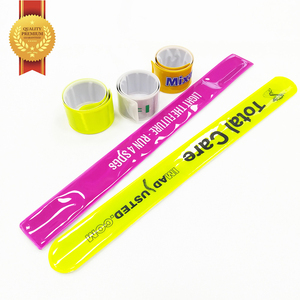 A wide variety of slap ruler options are available to you, such as free samples, paid samples. There are 1,097 slap ruler suppliers, mainly located in Asia. The top supplying countries are China (Mainland), Taiwan, and Hong Kong, which supply 98%, 1%, and 1% of slap ruler respectively. 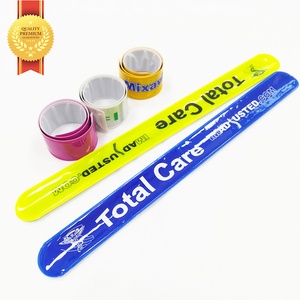 Slap ruler products are most popular in North America, Western Europe, and Eastern Europe. You can ensure product safety by selecting from certified suppliers, including 124 with Other, 55 with ISO9001, and 17 with BSCI certification.